Hello friends! 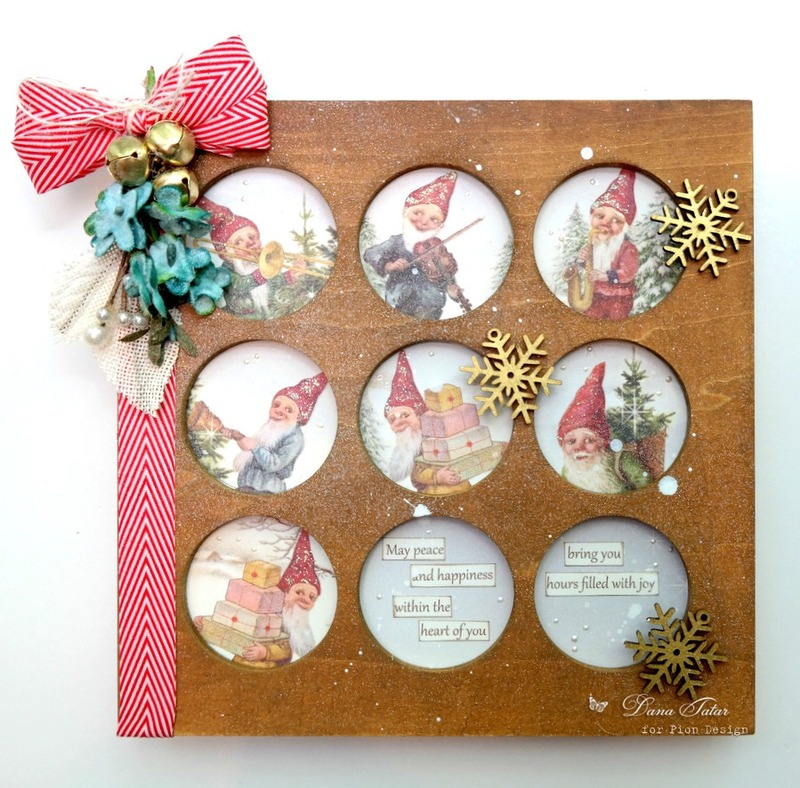 I love the little elves featured on the Images from the Past Greetings from the North Pole patterned paper so much that I thought it would be fun to highlight them in a small shadowbox. 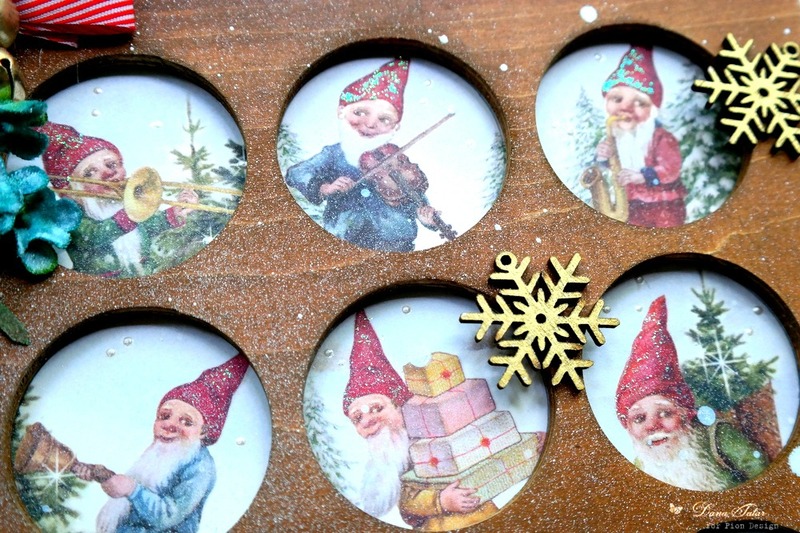 These elves are filled with joy and this little off-the-page project has made me happy. I added a touch of glitter and some dimensional paint to each image. I then embellished the box with gold snowflakes, a cluster of “mistletoe,” and a festive red striped ribbon. I finished the piece with a light mist of white spray paint for a frosty feel. These little elves would also look fantastic on a set of greeting cards! A very very beautiful and oldfashioned christmas decorating. I still remember these elves from my long gone childhood, and it brings back some wonderful memories again in my mind too.